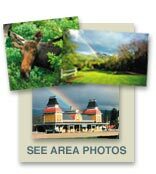 This scenic valley has been a haven for visitors since the early 1800’s. 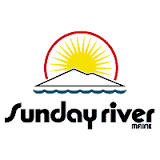 Today, the spectacular 780,000 acres of National Forest holds seven Mount Washington Valley NH ski resorts, some of the finest cross country terrain, and even ice climbing. 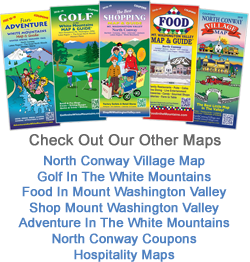 North Conway lodging options range from quaint country inns, to chain hotels, condos and motels along Route 16. 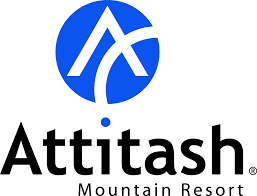 Attitash Mountain Resort offers 68 trails and 11 lifts across two big, connected mountains (Attitash & Bear Peak) that combine traditional New England runs and challenging terrain with modern, wide-open cruisers suited for all abilities. Located in the heart of the White Mountains, Attitash Mountain Resort is considered New Hampshire’s premier year-round vacation area. Recognized for the third year in a row for the Best Grooming in the East by readers of SKI magazine, Bretton Woods remains a top choice for skiers and riders in New Hampshire and among the best in Service, Scenery and Kid Friendly offerings. Whether you prefer carving the perfect turn on wide open cruisers, exploring miles of signature tree-dotted glades or finding secret powder stashes, Bretton Woods’ three peaks offer plenty of opportunities for everyone from beginners to the most seasoned skiers and riders. Wildcat Mountain, located in pristine Pinkham Notch, offers up over 2100 vertical feet of skiing and snowboarding terrain for any ability level, all accessed in under 7 minutes by the Wildcat Express Quad. Consistently ranked #1 for scenery in the East by Ski Magazine’s Resort Poll, Wildcat also finished in the top ten for character, value, challenge and overall satisfaction for 2015. See what all the positive buzz is about! King Pine & Purity Spring Resort continue to lead the way for families and winter-sport enthusiasts alike. Known for its family-friendly atmosphere, affordability & impeccable grooming, King Pine has been an affordable tradition for over 50 years. It was 1958 when a handful of skiers climbed Locke Mountain and cut Sunday River’s first trails down through the Maine woods. Since then, their spirit of exploration and adventure inspired the generations that followed as those trails grew into a network that spans eight mountain peaks. Our ski area offers over 40 trails, 7 glades, 3 terrain parks and snowmaking on 98% of our terrain. With 78 years under our belts, we’re the longest operating ski resort in Maine. So we know what real skiing and snowboarding is all about! Whether you’re an old-schooler or newcomer to the mountain we offer great family-friendly terrain, night skiing, rental ski equipment, and a fantastic ski and ride program.